This patient presented with an undefined jawline. This is due to a genetic build up of fat. The patient underwent Neck Liposuction. This has given her a more defined and sharper jawline. It has also reduced her signs of aging. 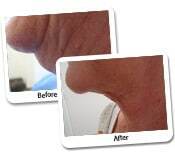 The before and after photographs in this case study were taken from a patient who underwent tumescent liposculpture (neck liposuction) of the neck alone. To help patients understand the changes a neck liposuction could cause, we have created an overview of important information in regard to the case study below. Why Can the Neck Area Cause an Aged Appearance? 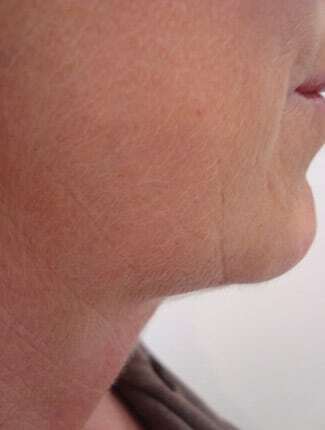 – Loss of angle, causing the side-on view (as seen above) to show a falling of the skin from the chin; this sometimes appears almost as a straight line without any retraction or shape of the neck. In the majority of patients, it reaches about a 45-degree angle. – Wrinkling of the skin. 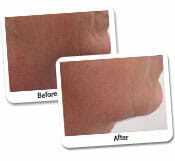 The skin can become aged, thin, and wrinkled; this also has an aging effect. 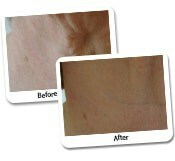 The skin texture can change and may become mottled, pigmented and contain fine wrinkles. – Deep folds. As the neck droops, sometimes prominent horizontal folds are seen in the lower neck. – Another change that patients sometimes experience is prominent muscle bands on the front of the neck; this is the tendinous insertion of the sternomastoid muscle. What Influences the Age-Related Changes of the Neck? The types of changes that are seen with aging are dependent on whether or not the patient is overweight or underweight. It is also subject to the amount of sun exposure the patient was subjected to over time. How Does a Surgeon Determine the Neck Liposuction Approach? 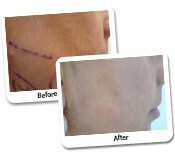 There are a number of approaches to improving the skin texture and shaping in the neck area. Dr Lanzer has been performing a specialised form of liposculpture called superficial liposculpture for over two decades; this involves methodically removing all layers of fat from under the skin of the neck. 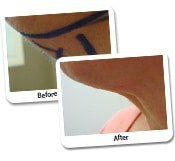 It induces a contraction of the skin whereby a new shape and angle of the jaw is created (as seen above). Dr Lanzer may use different liposuction devices such as laser lipolysis, Vaser liposculpture or MicroAire vibrating devices to assist in this process. 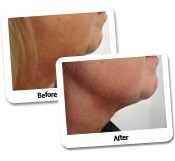 All procedures are performed using the tumescent liposculpture method. The fluid is first pumped into the fat. Due to the adrenaline in the fluid, generally speaking there is no bleeding. Dr Lanzer has never needed to give a patient intravenous fluid or blood using this method. 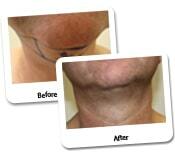 Another approach to the sagging neck is a neck lift. The incision-cut for a neck lift is performed behind the ear in the groove that is formed between the back of the ear and the upper neck. Usually the incision does not reach the actual hairline. The long-term sutures are placed in the muscle of the neck which helps elevate the sagging neck and the excess skin is removed. 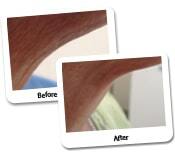 Skin textural changes can be treated with laser treatment. Dr Lanzer offers the Viva radiofrequency laser for skin tightening of the neck, the Ulthera ultrasound, which causes skin tightening and elevation, and the Aura photo rejuvenation laser. Do I Need General Anaesthetic for Neck Surgery? Dr Lanzer performs all neck surgery either with the patient awake or under a general anaesthetic. Ultimately, it is the choice of the patient as both methods work well. Dr Lanzer uses a specialised anaesthesiologist in his accredited day surgery centre. Can Chemicals Be Injected into the Fat to Dissolve the Fat without Surgery? There are chemicals and vitamins that are being injected into fat to dissolve the fat. Unfortunately, they can only be used for mild cases and they still are associated with bruising and swelling. Therefore, in Dr Lanzer’s opinion, the mini surgery which he performs through tiny incisions is more effective and better value for one’s money. Do I Need to Surgically Correct the Fibrous Bands of the Neck? In most cases, Dr Lanzer finds that it is not necessary to surgically attend to the fibres; this does require an extra cut and procedure under the neck. Once the skin and muscle are pulled, the skin takes on a satisfactory appearance. Do I Need a Facelift Together with a Neck Lift? Patients have a choice and Dr Lanzer will give guidance whether this is required. After an evaluation of the problems the patient is facing, Dr Lanzer can provide a patient with the advised treatment route. What Is the Role of Muscle Relaxant Therapy on the Neck? Muscle relaxants are used on the fibrous bands of the neck and can help rejuvenate the skin in this area. Unfortunately, they only last for 3-6 months. Excess fat deposits in the neck can be removed with neck liposuction, subsequently creating a more youthful appearance for the patient in question. As a patient, it can be difficult to imagine the result a neck liposuction could provide. 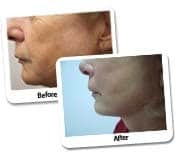 Therefore, the Dr Lanzer Clinic has posted numerous before and after photographs online, which display some of the results that have been obtained by our previous patients through neck liposuction. However, when viewing the photographs of neck liposuction, patients should consider that results vary from patient to patient. If you want a clearer picture of how a neck liposuction could improve the aesthetics of your neck, it is recommended to speak to your cosmetic surgeon regarding expected results. How Suitable Is Neck Liposuction for Neck Rejuvenation? To ensure a neck liposuction is suitable for the results the patient wishes to obtain, the patient must undergo a thorough physical examination and speak to our experienced surgeon regarding the results they wish to see. If the patient has realistic expectations about the procedure, and meets the medical requirements for the procedure, the patient will be deemed eligible for neck liposuction. For more information about the procedure itself, please refer to our neck liposuction information pages, or contact the Dr Lanzer Clinic via chat, email, web form or telephone.